I recently moved to Vancouver from the east coast (literally the night before I moved was spent on the shores of the Atlantic). I drove here over about 10 days with my main squeeze in an eleven year old forrester. Packing up your car for a trip through four times zones is not so easy and all the seemingly crucial and exhausting decision making you do when you pack up really don’t even matter at the end of the road. I seriously did not even remember what we had packed, so it was kind of fun (like Christmas fun!) when we finally got to unpacking the car. Needless to say we didn’t bring a hell of a lot and were in need of some staple apartment goods upon arrival. Criagslist offered all of this, of course, and it got kind of intense at times…refresh page, refresh page, refresh page. What was even more awesome than finding the things we needed in just a few days, were the wonderful people who offered us waaaay more than we could have ever expected or asked for (for free!). 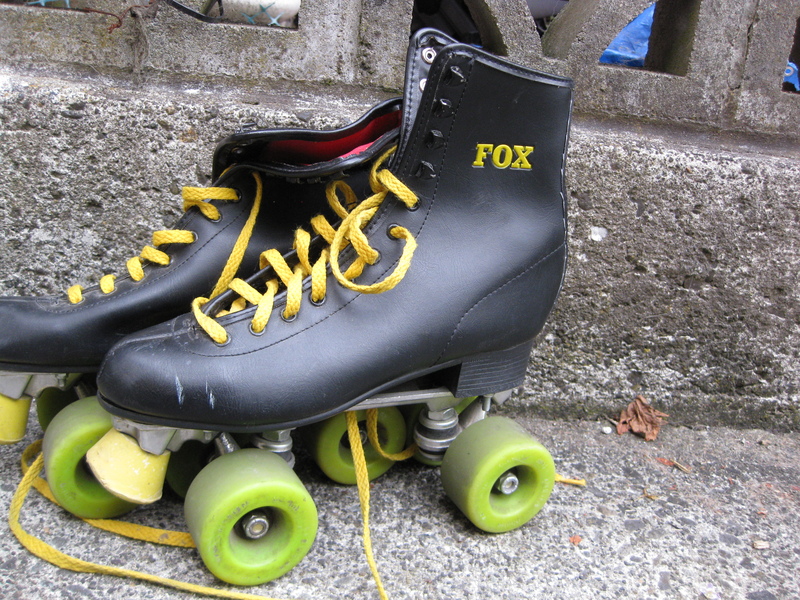 Par example…these rollerskates (HELLO! ), a snowboard and boots to boot, and brand spankin new kitchen things (that this lady pulled out of a magical bottomless drawer of baking supplies).